The leaves of one large shade tree can be worth as much as $50 of plant food and humus. Pound for pound, the leaves of most trees contain twice as many minerals as manure. For example, the mineral content of a sugar maple leaf is over five percent, while even common pine needles have 2.5 percent of their weight in calcium, magnesium, nitrogen and phosphorus, plus other trace elements. Since most trees are deep-rooted, they absorb minerals from deep in the soil and a good portion of these minerals go into the leaves. See the accompanying chart for an analysis of the nutrient elements in fallen leaves. Actually, these multi-colored gifts from above are most valuable for the large amounts of fibrous organic matter they supply. Their humus-building qualities mean improved structure for all soil types. They aerate heavy clay soils, prevent sandy soils from drying out too fast, soak up rain and check evaporation. Some people complain to us that they have no luck composting leaves. “We make a pile of our leaves,” these people say, “but they never break down.” That is indeed a common complaint. 1. Add extra nitrogen to your leaf compost. Manure is the best nitrogen supplement, and a mixture of five parts leaves to one part manure will certainly break down quickly. If you don’t have manure—and many gardeners don’t—nitrogen supplements like dried blood, cottonseed meal, bone meal and Agrinite will work almost as well. 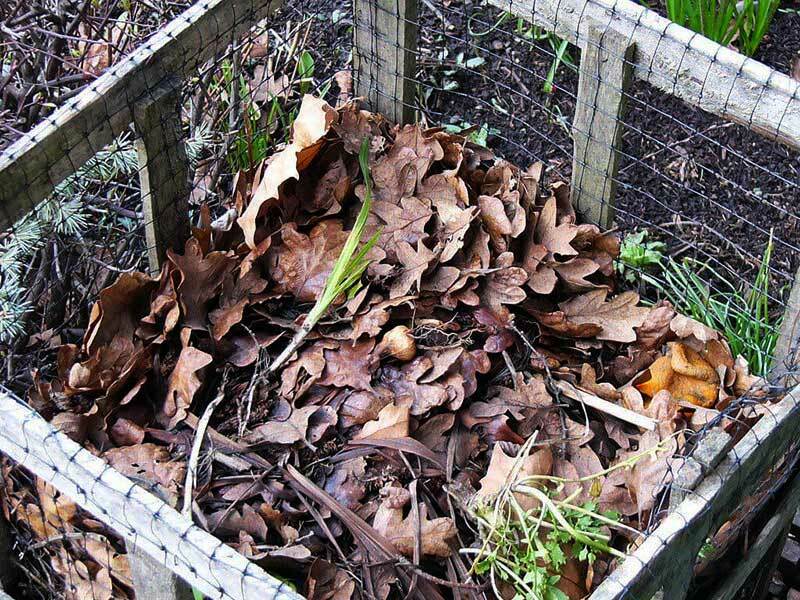 Nitrogen is the one factor that starts compost heap heating up, and leaves certainly don’t contain enough nitrogen to provide sufficient food for bacteria. Here is a rough guide for nitrogen supplementing add two cups of dried blood or other natural nitrogen supplement to each wheelbarrow load of leaves. 2. The second thing to do to guarantee leaf-composting success is to grind or shred your leaves. We will deal with this in detail later on, but let me tell you right now that it will make things simpler for you in the long run. A compost pile made of shredded material is really fun to work with, because it is so easily controlled and so easy to handle. A compost pile can be made in almost any size, but most people like to make rectangular-shaped piles, because they are easier to handle. It is a good idea to put the material in the heap of layers. Start with a six-inch layer of leaves, either shredded or not shredded. 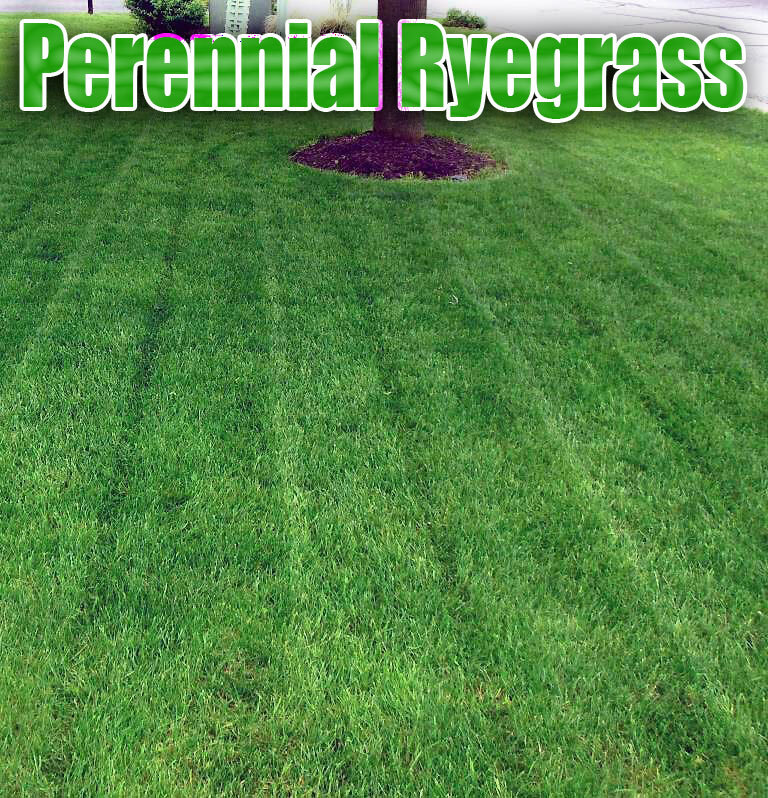 Then add a two-inch layer of other organic material that is higher in nitrogen than leaves. Try to pick something from this list: manure, garbage, green weeds, grass clippings or old vines from your garden. You can add low-nitrogen things like sawdust, straw, ground corn cobs or dry weeds if you put in a nitrogen supplement such as described above. It is important to mix leaves from packing down in a dry mat. Keep the heap moist, but not soggy. Turn the heap every three weeks or sooner if you feel up to it. If you can turn it three or four times, before late spring comes, you will have fine compost ready for spring planting use. 1. Shred or grind the leaves. 2. Mix four parts ground leaves with one part manure or other material liberally supplemented with nitrogen. 3. Turn the heap every three days. Turning a heap made of shredded leaves is not difficult because the compost is light and fluffy. One more tip: Why not experiment with covering your heap with a plastic sheet? It will keep the warmth in, and prevent the heap from getting too wet or too dry. Leaves can be uses much more conveniently in the garden if they are ground or shredded. Leaves in their natural state tend to blow away or mat down into a tight mass. If shredded they turn into compost or leaf mold much faster, and make mulch better mulch. If you don’t have a shredder, there are various other devices you can adapt to leaf shredding, or make yourself. Many people use a rotary mower for shredding leaves and even for weeds. A mower that is not self propelled is best, as it is easiest to control. Two people can work together very nicely. One person piles up leaves in front of the mower and the other operates the mower back and forth over the pile. A leaf-mulching attachment placed on the mower will cut the leaves up finer, but sometimes it is not necessary. You will be surprised how much leaves you can shred this way in a half-hour or so, even with only one person working by himself. Of course, some people us a mower with a mulching attachment to cut leaves up right on the lawn. That is fine, if you don’t want to us the leaves for compost or mulch somewhere else. Most gardeners need leaf mold more on their gardens and beds than on their lawn. If you have so many leaves on your place that you can’t compost all of them—or if you just don’t have the time to make compost—you can make leaf mold. 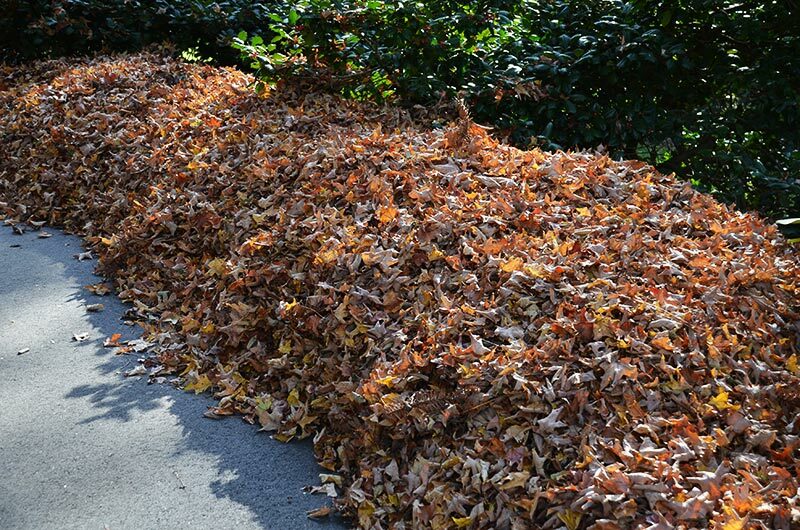 Leaf mold is not as rich a fertilizer as composted leaves, but it’s easier to make and is especially useful as mulch. A length of snow fencing makes the best kind of enclosure for making leaf mold. Make a circular bin, as shown in the photograph. A bin made of wood or stones can be used if you don’t have a fence. Gather your leaves in the fine fall days and tamp them down in the enclosure—after wetting them thoroughly. Leaves have a slight acid reaction. 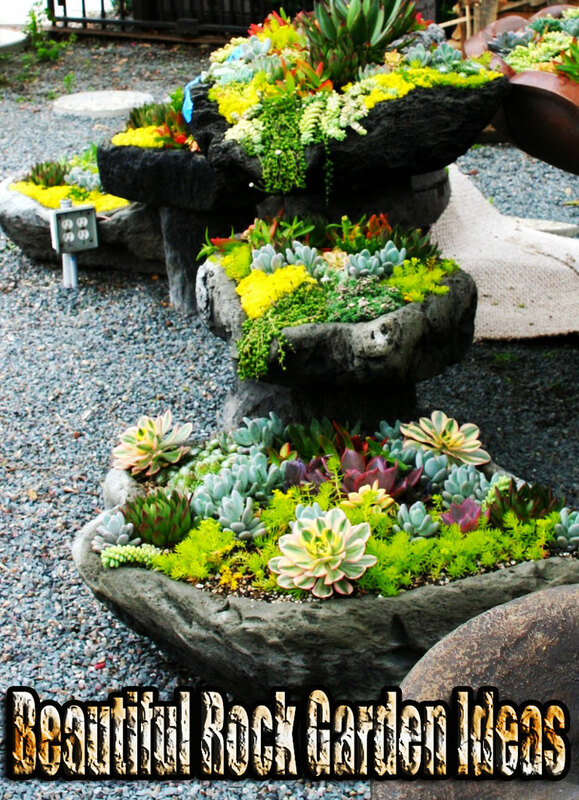 If you plants don’t need an acid mulch, add some ground limestone to the leaves before tamping them down. Over the winter, these leaves will not break down in the black powder that is the leaf mold you find on the forest floor. But they will be in a safe place, secure from the winter winds, where you can pull them out next spring and summer for use as mulch. By then they will be matted down and broken up enough to serve as a fine mulch. Some people keep leaves “in cold storage” like that for several years. Nurserymen who require fine potting soil sometimes do that. Then, when they come for their leaves, they find really black, crumbly humus. You can shred your leaves with a compost shredder or a rotary mower before putting them in you bin. Then they will break down a lot more over the winter. Leaf mold is ordinarily found in the forest in a layer just above the mineral soil. It’s usually soft, like a mattress. It has the merit of decomposing slowly, furnishing plant nutrients gradually and improving the structure of the soil as it does so. The ability of leaf mold to retain moisture is almost miraculous. Subsoil can hold a mere 20 percent of its weight; good, rich topsoil will hold 60 percent, but leaf mold can retain 300 to 500 percent of its weight in water. Freshly fallen leaves pass through several stages from surface litter to well-decomposed humus partly mixed with mineral soil. Leaf mold from deciduous trees is somewhat richer in such mineral foods as potash and phosphorus than that from conifers. The nitrogen content varies from .2 to 5 percent. If you keep poultry or livestock, use your supply of leaves for litter or bedding along with straw or hay. Leaf mold thus enriched with extra nitrogen may later be mixed directly with soil or added to the compost pile.